The Rollins School of Public is a place where you want to be! I am originally from Denver, CO and completed my bachelor’s at Syracuse University in the spring of 2015. I moved to Atlanta from Syracuse, NY and the transition has been amazing! I thought it would be difficult to “start all over” in Atlanta, and in fact it has been the complete of opposite of that. There is a community at Rollins and even outside of Rollins that is so welcoming to everyone. I never feel out of place and feel embraced by the diversity present at Rollins. I have made friends from all areas of my life and bonded with so many throughout my one year here. It first began when I met my current roommate, who is actually a Rollins alumni. She welcomed me with open arms and was so proud that I was attending Rollins too. She was in the HPM department, where as I am in the BSHE department. Even though we studied in different departments, we were able to share our love for the field of public health. She took me out to dinner at an Ethiopian restaurant named Desta. I am Ethiopian-American myself and am normally not fond of the food at Ethiopian restaurants. Though she detected my hesitation to go we went anyway. Turns out, it was THE BEST Ethiopian food I have ever had at a restaurant! From that pivotal moment, we connected through food and have built an amazing friendship. The second dinner I want to highlight was at my professor’s home. Professor Kirk Elifson is a special human being and someone who emanates so much love. If you ever have the opportunity to take BSHE 538 with Professor Kirk Elifson, take it! The semester he teaches this course, he invites his students for dinner at his home. Professor Elifson and his wife Claire Sterk were so kind to prepare both vegetarian and meat dishes for us. However, the best part of the evening was dessert and the personal tour of the artwork displayed throughout his home! I love the friendships’ I have gained through this class and having dinner made it so much better. The evening was so fun and wonderful for all. There were a few people from different departments in the class as well. The cross-departmental networks I have made are truly valuable to me. The third dinner I will write about was at Ike’s Café & Grill in Norcross. At this dinner, I realized that I found my family away from home. There are people at Rollins who are so kind and loving that you become family. It can be hard living away from my family and being around people from Rollins make it so much better! We study, laugh, cry, and eat together! It truly is a unique experience! Rollins has exceeded my expectations, and I have gain so much within my first year! 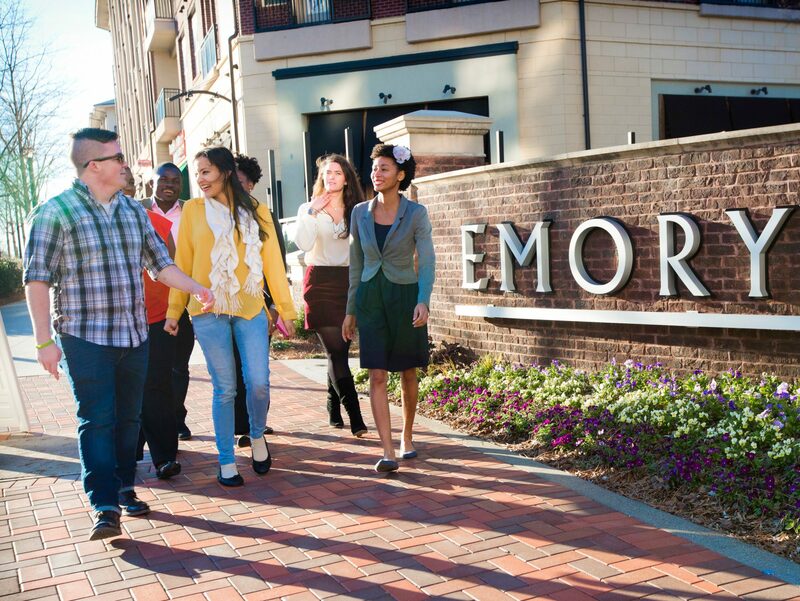 Previous PostPrevious Emory is known for academics but Atlanta is known for SPORTS!